After a fun Sound Garden last weekend with Sigha as our special guest, tonight we are back at Dommune with an old friend, Eli Verveine. She’ll be playing for the whole 3 hours, so it should be a very fun night… If you are in Tokyo and would like to come, register here, otherwise tune in to Dommune. It’s on from 21:00 – 24:00 Tokyo time, which is 23:00 – 02:00 Melbourne time, 13:00 – 16:00 Berlin time, 12:00 – 15:00 London time, 07:00 – 10:00 New York time. 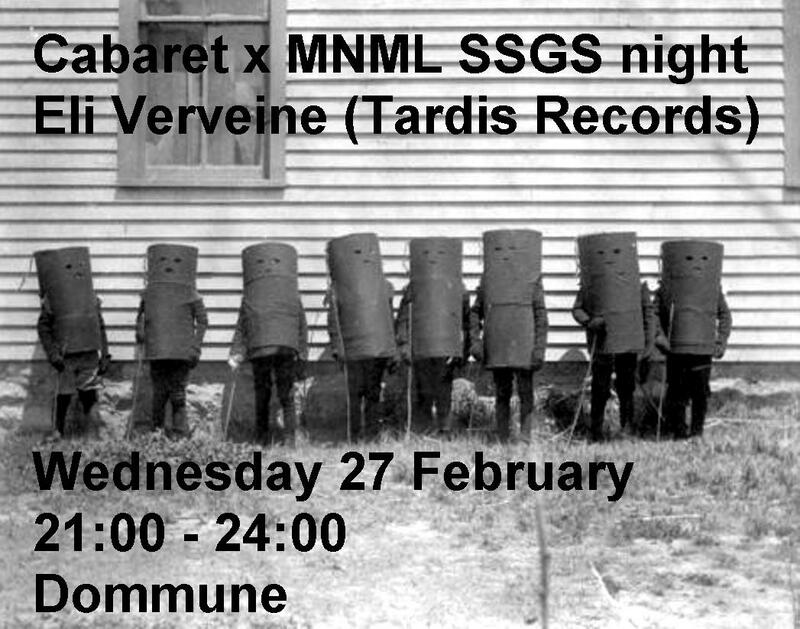 Or something like that… And tomorrow Steffi and Virginia will be on Dommune, so I’d recommend tuning in then too. On Friday night, Andy Stott is playing an early-ish show at the Liquid Room. The main event finishes at 1am and then things move upstairs to the Time Out Cafe for the after party. It’s free entry and I’ll be DJing some ambient stuff, so it should be a night of good music.